As a way of saving space on the screen these layouts offer a scrolling capability. The height of the scrolling region maybe set in the layouts. 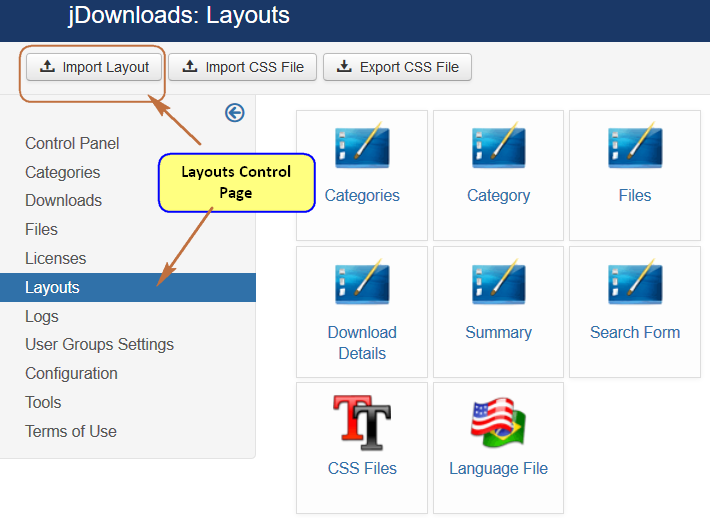 This is a complete suite of layouts that could be used as a set for Categories, Category and Files layouts. However a Files Scrolling layout could be used by itself. Any of the regular Download Details or Summary layouts maybe used. There are seven individual Downloads, one for each type, and also an eighth 'zip' Download that contains all seven of the Scrolling Layouts. 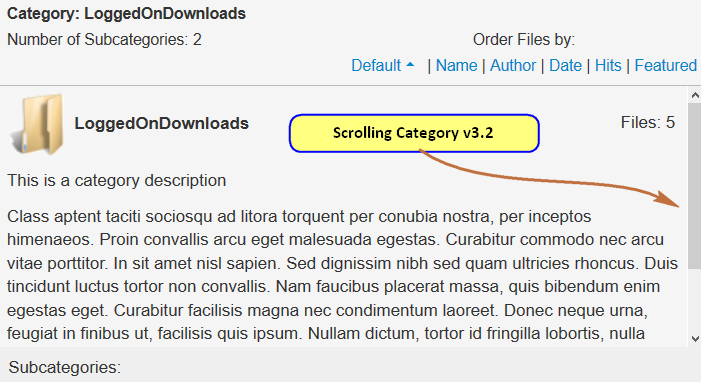 Scrolling Categories Layout for paginated Subcategories. 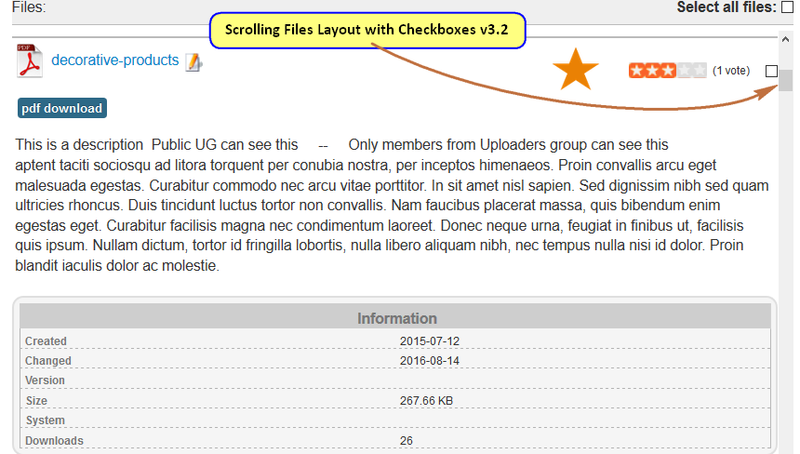 This file is the Categories Layout with Scrolling enabled. Click on image opposite for an example view. This is the subpaginated categories layout. Please note the special instructions for this Layout. Click on thumbnail opposite for an example view. This is the Scrolling Category Layout v3.2. Click on thumbnail to see an example. This Download contain all eight of the scrolling layout xml files in a zip file. When extracted the xml files are in a folder called 'Scrolling Layouts'. Please note special instructions related to the paginated sub categories layout in the documentation.